This was a bang-up year for cookbooks. Although my editor isn’t thrilled, I am glad that I didn’t have a book come out this fall with all the other great books that have crossed my path. Because it’s nice to be able to spend some time cooking and baking through them. (While I work on edits for mine, coming out next year. If I finish it…) One cookbook that I didn’t know much about was Soframiz, which I saw in my publisher’s catalog. They just happened to be sending me a copy of someone else’s book, so I asked them to include a copy of that one too. So until I get there, I’m happy to have their book, with recipes inspired by the cooking and baking of Lebanon, Turkey and Greece. 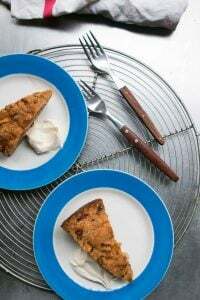 I’m also a big fan of the foods and flavors from those countries, and the ones that surround them, which the authors (and chefs) – Ana Sortun and Maura Kilpatrick – feature so well. 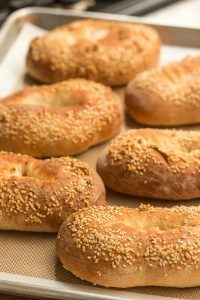 I bookmarked a bunch of recipes, including Simit, twisted circles of sesame-crusted bread rings dabbed with pomegranate molasses before baking, flaky cheese-filled Borek (pie) topped with nigella seeds, and caramel-like Sesame cashew bars, which they say are the best-seller at their bakery. The are few recipes in the chapter of Middle Eastern flatbreads in Soframiz also got bookmarked, but I was most intrigued by the Warm Hummus with Spiced Lamb. I was introduced to Turkish-style hummus at Zahav, where it came to our table in a little skillet, warm and slightly charred on top…and it was absolutely sensational. Unlike other kinds of hummus, this one doesn’t have tahini (or garlic) in it. I know…right? I always though hummus had to have both. Kind of like most of us, myself included, didn’t realize pastrami had Turkish roots. Although meat may sound funny to you with hummus, since it’s often sold as a vegetarian dish, the combination with the juicy spiced lamb, moistened with tomatoes and a dab of hot sauce, makes a great lunch or dinner scooped up with pita or flatbread. It would make a wonderful part of a Middle Eastern feast, should you be so inclined, perhaps with Labneh, a big bowl of Tabbouleh, and pickled turnips. Adapted from Soframiz: Vibrant Middle Eastern Recipes from Sofra Bakery and Cafe by Ana Sortun and Maura KilpatrickThe original recipe called for cooking dried chickpeas (1 cup) in 6 cups of water, along with a bay leaf and a pinch of baking soda, until soft, at least 45 minutes, then adding 1 teaspoon of salt during the final few minutes of cooking. I usually cook my own chickpeas but in this case, I went with canned, which I keep on hand for hummus emergencies, like I was having when I made this.If using canned chickpeas, you'll need two 15-ounce (425g) cans. (For those scratching their head at my math, the weight of canned chickpeas is often listed with the liquid in it.) Any leftovers can be marinated in vinaigrette and tossed in your next green salad.A few things to remember: The hummus should be made with warm chickpeas. If using canned, warm the chickpeas first, either in saucepan or microwave, so the butter melts and the hummus is smoother.Pine nuts are fairly expensive, especially the ones not from China. (Which have been implicated in Pine Nut Syndrome.) However the pine nuts add a special flavor to the dish, even though they're used in a rather small quantity. (Pine nuts from other places are fine.) If you want to omit them, you can and a few pumpkin seeds would work in their place. 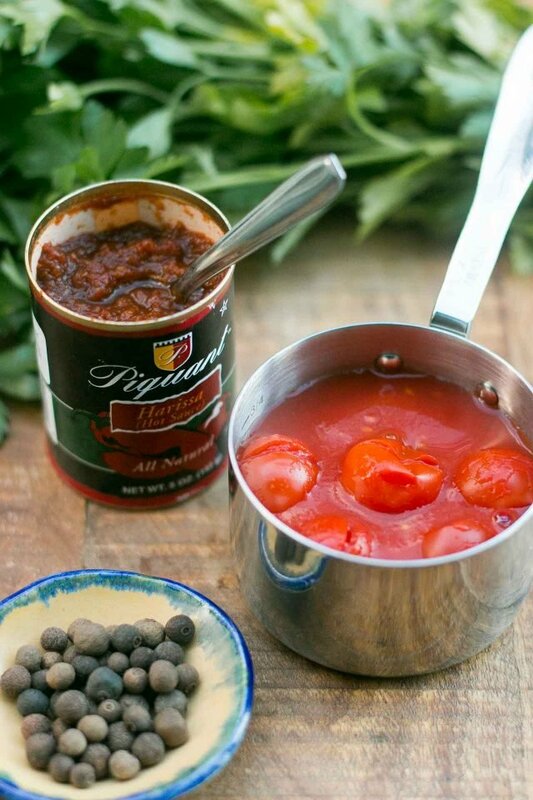 If you don't have harissa, use a generous tablespoon of tomato paste and add a sprinkling of red chili flakes along with the spices, for some heat. Ground beef or poultry could be swapped out for the lamb, although it won't have the same flavor.For serving, ideally the hummus should be served warm along with the spiced lamb. This is one of those places where the often-maligned microwave oven could come in handy, to rewarm it before topping it with the spiced lamb mixture. Conversely, you can warm the hummus is shallow baking dish, in a 300ºF (150ºC) oven, covered with foil for 15 minutes. 1. Puree chickpeas with 3 teaspoons of the lemon juice, salt, and cumin in a food processor or blender. Mix in the soft butter and olive oil. 2. While the machine is running, slowly drizzle in a scant 1/2 cup (125ml) of the chickpea liquid and puree very well, until the hummus is as smooth as possible. If necessary, add more liquid, a tablespoon at a time, until the hummus is the consistency of sour cream. (I ended up adding 2/3 cup but yours may take more or less.) 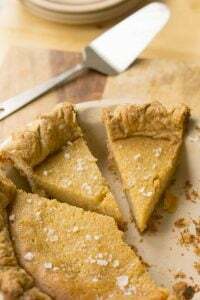 Taste and adjust, adding another teaspoon of lemon juice or salt, if desired. 1. Heat the 1 tablespoon of oil in a skillet over medium heat. Add the lamb, season with the salt, and cook it, breaking it up as it cooks, until it's almost cooked through, about 4 minutes. 2. Add the allspice, black pepper, cinnamon, tomatoes and 1/4 cup (60ml) chickpea liquid. Cook until the liquids are slightly thickened, about 3 minutes. 3. Stir in the scallions and harissa and cook for another couple of minutes, until the liquid is reduced (but the meat is still very juicy) then remove from heat and add a squeeze of fresh lemon juice. Mix in the flat-leaf parsley. Serving and storage: To serve, spoon the warm hummus onto a serving plate or bowl and use the back of a soupspoon to make a crater in the middle of it, leaving a rim. 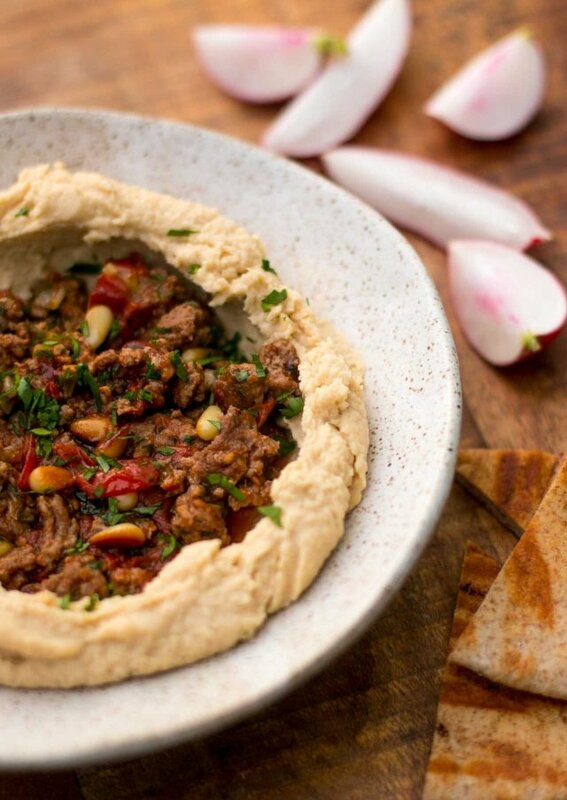 Spoon the spiced lamb into the middle of the hummus and sprinkle with pine nuts. There are some tips in the headnote before the recipe for serving the lamb and hummus warm at the same time. Pita or a similar flatbread, or crackers, are good accompaniments. If you want to make your own flatbread, you can use the bread base of my man'ousche recipe, and there is a recipe for yufka, a nonleavened flatbread, in the Soframiz book. Both the hummus and lamb sausage can be made in advance and refrigerated up to 3 days. Thanks so much for the tip about canned chickpea weight- that explains every hummus recipe I’ve ever seen. I’ve never had hummus warm, or with meat before, but this sounds absolutely phenomenal. David this looks so good! I am always looking for a good hummus recipe as I’ve made a few that have been disappointing. This one looks amazing and the spiced lamb looks so delicious. I will have to make this dish! This looks so delicious. I have never had warm hummus before, or hummus with meat on it – definitely one to try. Oh it’s so good, Liz! Have you tried YO’s version (in Jerusalem)? This is a recipe after my own heart, David! I’m going to check the book out. Just reading about what’s in it, it took me back home! Thanks for sharing. We live up the street from Sofra, and adore eating there. Not to mention Ana Sortun’s Oleana in Cambridge and Sarma in Somerville. What joy in such full flavors and delight in fine cooking. The cookbook is very fine. Thank you for this! I’ll second Jane Sherwin’s reco of Sofra, Oleana and especially Sarma, which is one of my personal faves. Anna Sortun performs magic with food and is a local phenom. Her husband grows much of the produce for her restaurants and doesn’t get the recognition he deserves. A little info about Pastrami and its roots : Pastrami has its roots to nomadic Turkic Culture. Nomadic Turks naturally had no cellars, keep their meat between saddle and fur of the horse when on the move, meat becomes pastrami with the help of spices, Horse’s body heat and friction there. David, is there a reason why the hummus recipe doesn’t call for tahini? I actually don’t know. The only thing I was able to find on that subject was from chef/author Ana Sortin, who also wrote a book called “Spice,” who said – “In Cappadocia, they make hummus without tahini, and they use butter instead of olive oil because of its quality and availability.” When I went to a hummus factory, they said less affluent cultures in the Middle East use less tahini in their hummus than others. Perhaps the remoteness of Cappadocia means that people use butter (which they could make themselves) rather than tahini, which is purchased. But that’s just a guess. If anyone else knows, that’s a good question and I’d love to know, too! In Hebrew (not sure about Arabic or Turkish), hummus means both the dip and also just chickpeas. Maybe that’s why this is still called hummus even though it doesn’t have tehina in it? This sounds amazing. I’ve made a grocery list for my Saturday trip to the Kitchener Market; will make this weekend. These are my favorite restaurants/bakeries here bar none. I went to the cookbook release dinner at Oleana last night and this was one of many dishes served. They had the event in conjunction with Lior Lev Sercarz’ new book on spice blending (The Spice Companion). Everything was divine! Also served last night and fabulous was the butternut squash gozleme with tomato brown butter, green Apple fattoush, sesame cashew bars and more. Highly, highly recommend! Sofra Bakery has incredible baked goods and I love their tahini hot chocolate! So, does this mean that you may one day visit Boston? We have been waiting only FOREVER for you to come and sign our books and give a little talk. There is hope for us yet! Hi David, was browsing for your books at WHSmith in paris but did not find them. I am specifically looking for “My Paris Kitchen”. Esha, I’ve got mine from Amazon France… Good luck – it’s worth every centime. Only a few days ago, eating out in a Marocan restaurant, we had a lamb dish and home-made hummus by the side – I can very well imagine how wonderful it may be eaten warm….. A pre-winter-warming-meal proposition which gives ‘envie’ to spend more time at the cooker – although we have eaten in our (non heated) veranda today as well as yesterday (lunch). Thank You so much for this – I’m going to try that out, I love hummus…. and lamb…. PS_ The feature ‘follow’ comments is still not back to use – I’m slightly worried as I am loosing track of yours and ‘theirs’ – sorry to bother you again. Thanks for circling back. My web developer said that the recipe “plug-in” that I’m now using, that added the print option for recipes, somehow conflicts with that so it got disabled. Since I’m not a techie, I’m not sure why. But unfortunately, that’s what he told me. This reminds me of the hummus with ground lamb and pine nuts from The Moro cookbook. The restaurant in London is one of my favs and this book as well as Casablanca Moro have lots of eastern med. fare. Darn auto Spell check in prior comment! casa mono is the book’s name!!! You had me at “hummus!” Love your blog and love the fact that you do not embed into the main feed annoying ads. I don’t mind them on the side, where you place them. Thank you, David, for doing such an awesome job with everything you do. It’s inspiring! The recipe and the book sound divine! Might try this at the weekend. What should we replace the chickpea cooking liquid with (in the lamb recipe) if we’re using canned chickpeas? Water? Part water, part aquafaba? Thanks! In the ingredient list it says to reserve the liquid after draining, so that’s what you use. Any news on YOUR new book…. the one hopefully for next year? A “My Paris Kitchen” Vol.2?? Mr. Lebovitz, I don’t know if you have any input on how your ‘pins’ get formatted, but could you possibly include your name in the description? I manually add it whenever I save one of your posts, because it adds a level of ‘this must be a good recipe’ to it. Just a thought. Your posts and efforts are appreciated greatly here in Wisconsin. Thank you! I was an avid Hummous maker while at Uni. Tinned chick-peas mostly, as I didn’t have much time (Physics is more than just a 9 – 5 every day subject). I was rather heavy on the garlic. I’d be eating it while on an all-nighter in the lab running my experiment – occasionally friends would drop by with relief parcels of food. It was 24 hrs on, 8 hrs off. 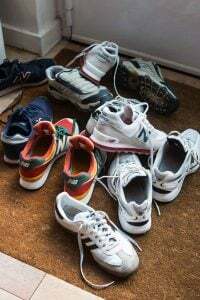 Similarly I’d run in relief parcels for friends when they were doing an all-nighter. These days it would not be allowed for (a) food in labs (b) working all night in the lab – essentially, I was on my own in the whole lab. Mind you, earlier in the evening, there were various musical groups practicing – I think the lab could have put up a decent small orchestra (which I would have been a member of). 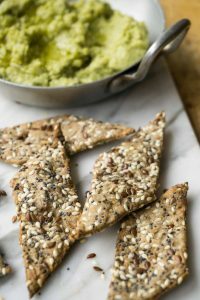 Some blog or other that I follow mentioned the idea of using other beans other than chick, and other seed oils other than tahini. And certainly there are both available, pumpkin seed paste being a recent discovery (at least for me). I have seen such things – the other bean/oil paste that is – in Supermarkets recently. While not authentic, there does seem to be a whole world of faux-hummouses to explore. With or without garlic. Or “hummous” with other flavours, such as roasted tomato, [red peppers] [capsicums][bell peppers] or harissa. I too had always assumed Hummus had added tahini though not adding it makes sense since hummus simply means chickpeas. This is such a basic recipe and looks like something I make all the time that is similar. What would we do without chickpeas? To chime in with all the other readers, I can’t get enough of Sofra. Oleana (one of Sortun’s other restaurants) is one of my favorite restaurants in the world and I always try to go there when I’m back East visiting my mom’s family. The first time we ate there about 5 years ago, we had the chance to talk to Ana as it turns out she used to live in Seattle where I live. If I can’t snag a table at Oleana, however, Sofra is a great more casual daytime alternative. It’s hard not to order everything off the menu- savory AND sweet. I’ve made a few things out of her “Spice” cookbook (for Oleana) liked the labneh and whipped feta spread and can’t wait to get my hands on this one. Thanks for sharing! David, Apparently there is a variation of hummus that is made with olive oil called ‘hummus bi zeit’. You can read all about it at the end of this post. This looks delicious and I’m happy to see minus the garlic. I’ve just become sensitive to it this past year and it’s in so many things. Can’t wait to try it. I am completely drooling over this recipe; it reminds me so much of the dish I order most often at my favorite Lebanese restaurant in Salt Lake. And thanks for the shout-out! So glad you featured this. 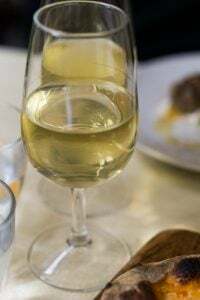 I love Ana Sortun and Maura Kilpatric’s restaurants, their restaurants Sarma and Oleana even a bit more than Sofra, and don’t think they get enough recognition beyond the Boston area. 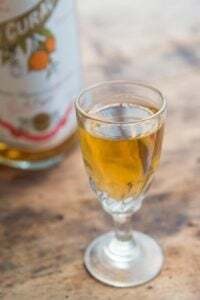 Sortun’s earlier cookbook Spice is full of gems, many of them favorites from the Oleana menu, even if it doesn’t have stylish graphic design and photos like Soframiz. Try the recipies for fattoush or carrot spread with dukkah. this looks so wonderful! Perfect for a winter dinner party. I love lamb, especially ground lamb! I can’t thank you enough for having all your recipes re-done into a print friendly format, it’s very much appreciated and I’ve printed up five of your recipes today! Thank you, David! Hi David, I’m keen to try this on the weekend! I’m curious… 225g of lamb mince doesn’t seem like much for 4-6 people. Would you have added more? The mixture filled the pan (9-inch/23cm) which was enough for the amount of hummus. It’s more of a garnish for the hummus, rather than the main “event.” But if you’re concerned, you can increase the spiced lamb amount. Rachelle, I made this for election night dinner. Despite the election results, the dinner was great. I used 2 lb of ground lamb and 6 cans of chick peas. The recipe is very forgiving. That amount was perfect for 6 people. I made homemade harissa (quite easy) and served on the side. Very simple and delicious meal. I visited Turkey about 10 years ago…and fell in LOVE with ALL of their food, in general, not to mention the hummus!! This looks divine! I’m a huge fan of hummus (I make a huge stash once a week) but I’ve never made it like this! I usually stick to the basics, or add spinach or sweet potato. This sounds heavenly. I think of hummus as something to eat cold, so it’s a revelation. It’s so great to find a new way to eat a favorite food! If one is in the area, there is another, excellent cafe just a bit further down the street from Sofra called Seta’s Cafe at 271 Belmont St. I am a big fan of both. 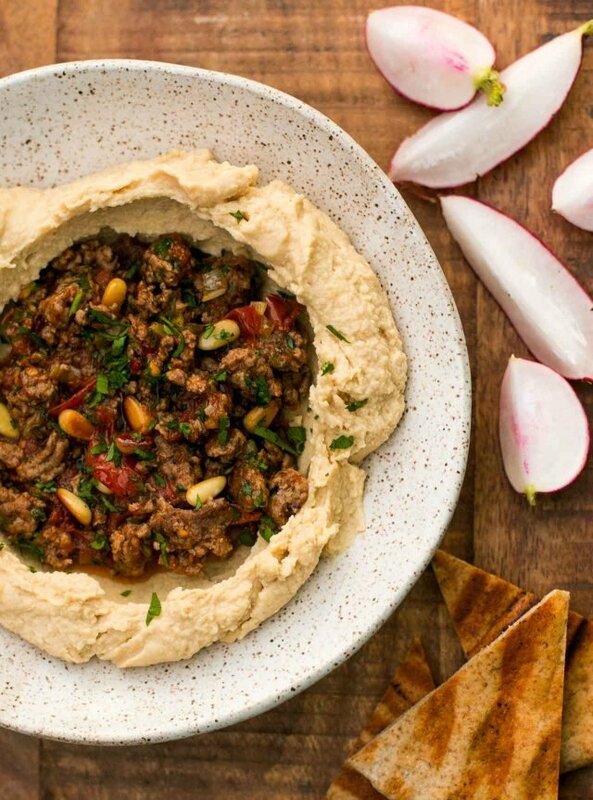 I never think about warming hummus (I always eat it cold with crusty French bread or crackers), but this looks fabulous, and lamb is one of my favorite foods. Will definitely be giving it a go, as it’s simple too. Made for lunch today alongside roasted aubergine – absolutely delicious – thank you! And naturally gluten free too. It doesn’t get much better! Made this last night and it was absolutely delicious…even better served with your suggestion of Labneh on the side. Thanks David! I never see it sold already ground but most butchers will grind it for you. I made this for my family tonight and it was delicious! We all decided it is a must-do-again meal. Thanks David. Rainy: Glad you and your family liked it. 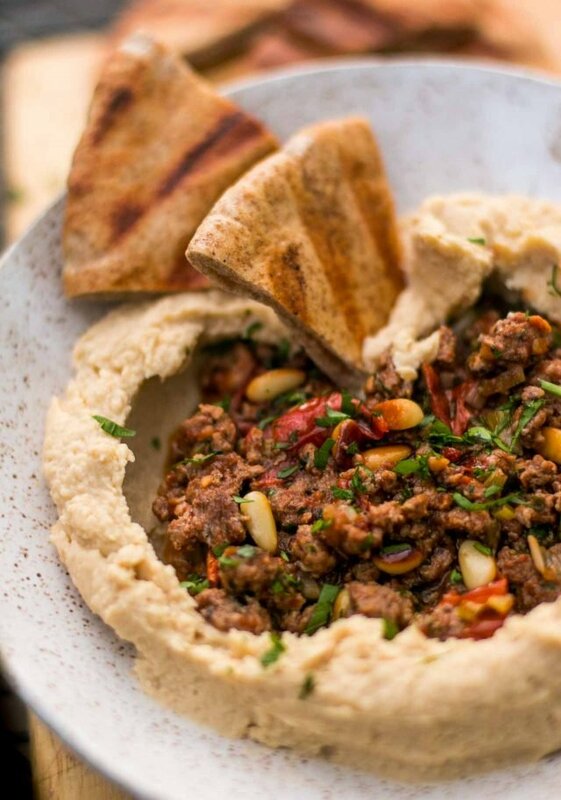 It’s a pretty delicious combination, the warm spiced lamb and creamy-smooth hummus. Happy it was a hit! Nancy H: I don’t know their cookie but the best thing to do would be to ask them. Some bakeries are generous with information and will probably let you know how they’re made, although they probably don’t have a home-sized recipe that they’ll share. David! I thought they might be guarded. You’ve confirmed what I’ve often suspected – that bakers are often wonderfully willing to share a lot of helpful information. I will take your advice, and see what I can find out. Meanwhile I have been gathering recipes to experiment with, among them your “Chocolate Chocolate Chip Cookies” from “Room for Dessert”. Looking forward to all this experimenting. Thanks so much again, for all that you do, and share! I just finished making this for Sunday lunch, after picking up the ingredients yesterday from the wonderful farmer’s market here in Kitchener, Ontario. I made it according to the recipe, starting with dried chickpeas rather than canned. The only change was walnut oil instead of olive oil in the hummus, because I don’t like the taste of olive oil. (Weird, I know. I love olives of all kinds.) David, this was delicious. Easily the best thing I’ve made in quite a while. The hummus in particular was addictive, kept taking another spoonful. The combination of the lamb and hummus–so good. I’ve always been looking for a hummus recipe and this one is just so perfect. My family loved it so I’ll definitely make this again. 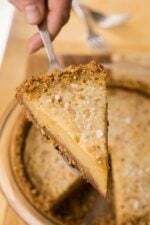 Thank you for this recipe, this will also definitely be in my list of “family’s favorites”. 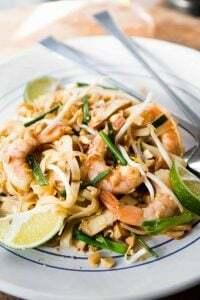 Another delish recipe that I will definitely try. Knowing that you are the master here, I have an off topic question about using frozen fruit puree (ie Boiron) instead of juice when making sorbets or sherbets or even ice cream for that matter. What would be the right proportion of sugar / liquid to use. I haven’t used many frozen fruit purees for sorbets and ice creams, but Boiron does have a list of recipes on their website. 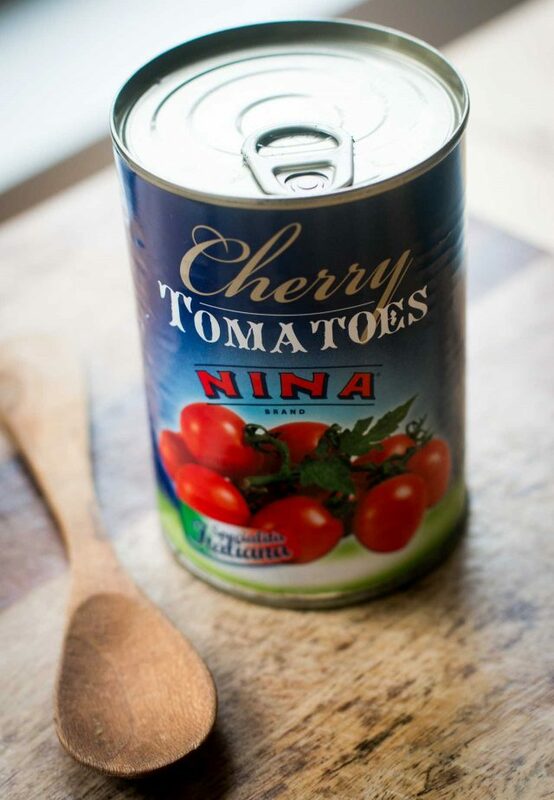 I often try to list the amount of puree I add in my recipes and in many cases, frozen puree can be used. As soon as I saw this I knew that it would be a hit. Made it that evening and I was correct. 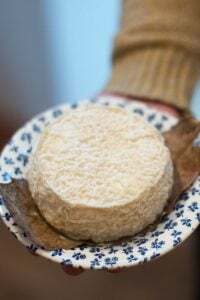 Everybody loved it and I will be taking the recipe back to France with me for those pre-holiday aperos that are so numerous. Thanks for another great addition to the repetoire. I made this recipe last night for dinner, however used ground turkey instead of lamb and sauteed an onion with the ground turkey instead of adding green onions. Hummus was leftover from a previous meal so it had tehini in it but I added water to make it a little thinner. Absolutely delicious and a hit at my dinner table. I will definitely make it again very soon. Thank you for sharing. 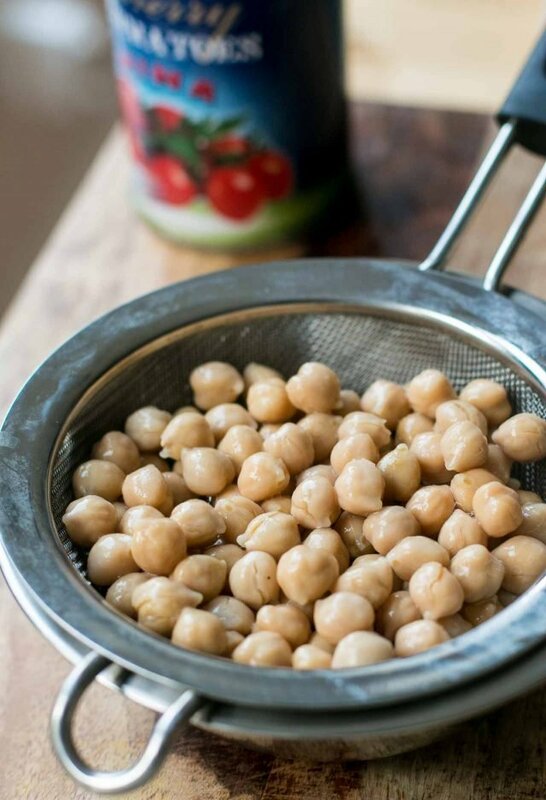 My advice would be to remove the skins of the chickpeas one by one before processing, it shouldn’t be too difficult and improves both taste and texture as well as being easier to digest. Instead of oil or tahini, throw a handful of roasted cashew nuts in the blender.The recipe I am familiar with has no tomatoes but caramelized onions instead. 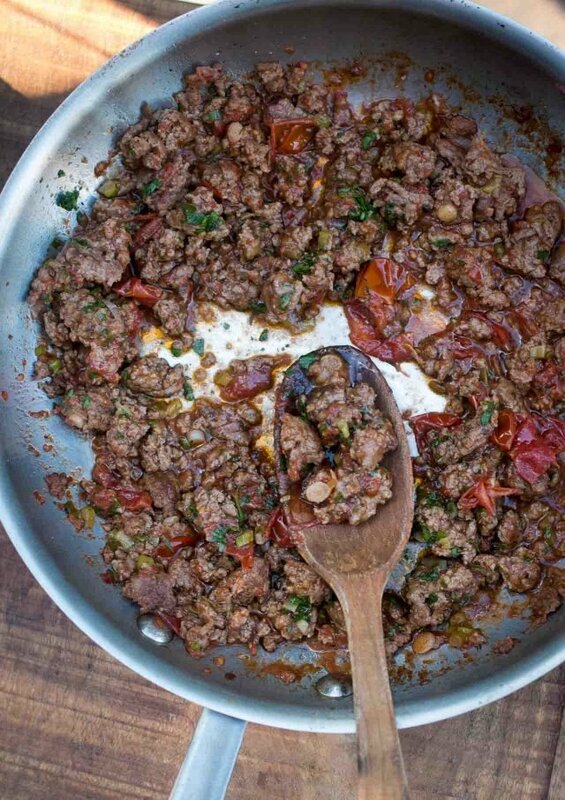 For a more authentic middle-eastern version, ground lamb can be substituted with sauteed thin slices of lamb or turkey kidneys or small. chunks of veal sweetbreads. Do not overcook. For spices, baharat is de rigueur or alternatively allspice, nutmeg/mace and even a little cardamom. Topple with your choice ofchopped parley, sumac, pomegranate seeds or dry mint. Enjoy. We made it yesterday and it was delicious. We’ll have it again for sure and I am also tempted to experiment with some more ingredients, such as pomegranate seed or even a bit of yoghurt. But I would not substitute the lamb with any other grounded meat, as we really like the distinct taste of lamb in this dish. I can’t wait to make this tonight. But on the upside, it was a good harvest season for pinons in New Mexico this year. I am ordering some to try, and will let you know if they are good. David, this is going to sound really silly but for vegetarians, what can I replace the lamb with if I don’t want plain old hummus? I think adding something extra would definitely make it an interesting app for my friends, but I just can’t think of what (maybe some crumbled tofu?) – It’ll look good, but not sure how that soy taste would go with the chickpeas. this recipe was easy and delicious. Made it for dinner and it was a special Monday night dinner without a huge amount of effort. Also, I really like hummus sans tahini. Thanks! I’ve never seen powdered harissa. Where did you see that?